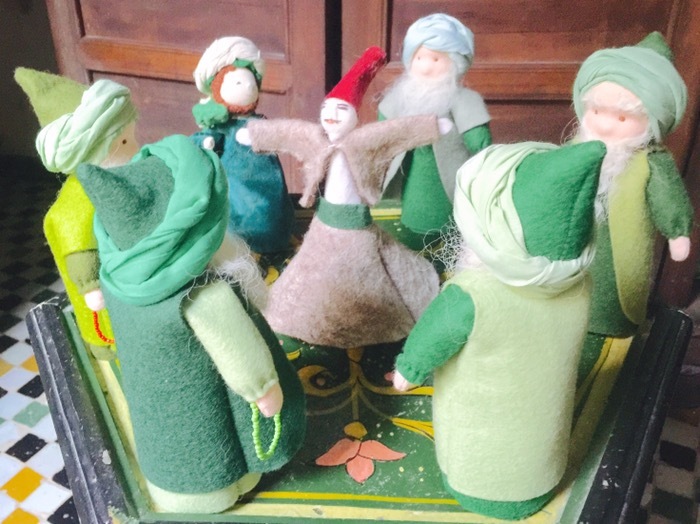 Today our little dervish dolls are celebrating another Thursday zikr in Ramadan. During the zikr circle some of the participants recite and some whirl during the service. We believe that when a group gathers for zikr that angels gather there as well to listen and bring blessings. Some of these dervish dolls were commissioned from WaldorfMagicGlade on Etsy.